Power Stop drilled and slotted rotors give you the advantages of drilled holes for cooling and slots to sweep away gas and dust. Power Stop rotors use only the finest blanks and feature G3000 grade castings from the best foundries. All drilled and slotted rotors (except for hub rotor assemblies) are silver zinc plated to resist rust. With a direct OE fit and vane count, there are no special modifications needed for your car, truck or SUV. 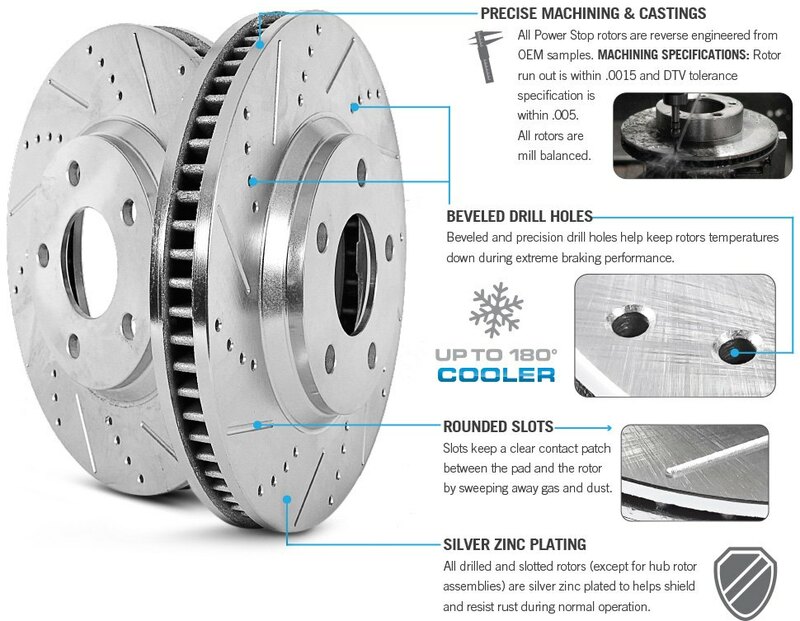 The drilled and slotted design is our most popular performance rotor for street and track day applications.